My birthday is on December 6th. I have an idea that will cost you nothing and may help the community. If you were leaning towards wishing me a happy birthday, I'd rather you invest your energy towards this concept instead. 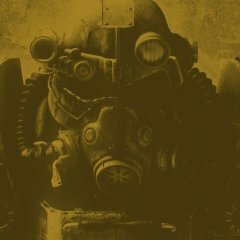 Think of a mod you've download from this site. Anyone's mod. If you liked that mod - even a little - I'd love for you to go that mods page and leave a comprehensive review what you liked about that mod. Don't just leave a one sentence review - go into actual detail. What you leave should be mostly to completely positive. Easy so far? Once you're done, link to your new review below. Thanks! I have mentioned in this blog that I've turned my class quests into a "SWTOR Audio Drama" as it keeps my mind focused elsewhere when I'm on my treadmill. I've decided to fill in the blanks in the Audio Drama by including the Flashpoints. However . . . some Flashpoints require a full group and some of them are only available in Veteran Mode (formerly known as Tactical Mode) or Master Mode (formerly known as Hard Mode). So I found someone's old chart and I've updated it accordingly. I fully realize that this will likely be unusable by the general populace which is why this is a blog, rather than being posted in the The Old Republic section. Welcome to my first blog. This blog will contain the video's I will be making of Gameplay from The Sith Lords Restoration Project or TSLRP. These videos will specifically be about the Content not seen in TSLRCM or is different in TSLRCM. For more information about TSLRP visit the following threads What TSLRP sought to restore- http://deadlystream.com/forum/topic/5584-what-tslrp-sought-to-restore/?hl=tslrp TSLRP Post Morterm- http://deadlystream.com/forum/topic/5596-tslrp-not-quite-a-post-mortem/?hl=tslrp The first videos will be a three-part series showing Gameplay of the GenoHaradan Boss Fight. Here is the first one: From what I understand the GenoHaradan used the cut rooms in the Nar Shadda dock modules as a meetup place to kill the Exile and was NOT their base. More information and videos to come. Entry 1: Here are examples of what I'm talking about when I say the KOTOR Menu font. What if Atton Rand appeared in K1 as a Sith Special Forces operative? What if Revan, ran into one of the deathsquads he was apart of. How do they escape the PC, board a shuttle? Then what? Qrixy on Korriban can either be killed or swear fealty to Revan, there is no redeeming her. Takes pride in having a master, doesn’t have to abide by the Academy rules, is already a Sith. Well, that was my rough draft of a large side quest that involved Dantooine, Tatooine, Manaan, and Korriban (4 planets). ::::::::::::::: ::::::::::::::::: I hope this was not a waste of your time! Thanks for reading my ramblings. Blog #66 - New Landing and Take-Off Videos for M4-78? I asked tjsase if he could redo his M4-78 landing and take-off videos but using the skyboxes from Stoney's original mod but he might not be able to do it for time reasons. Anyone up to the challenge of something on the level of tjsase's video? I can provide sound effects and the music used during the landing sequences. Previous topic title: A Celebration of Life Day! Yes, I'm early on this one but this will require planning. My thought was to celebrate Life Day by having one of my characters sing a Christmas song in my Nar Shaddaa Stronghold. Several rooms have a Life Day theme in them. I though it might be fun to have to make a cheesy video with Deadly Stream folks partying it up in my Stronghold ' "Emfour's Lair of Shadows" - drinking, dancing, and carrying on. I haven't found a song yet to sing but it'll probably be a Christmas standard. I'll have to find a song with no leading vocals on it so I can sing over it karaoke-style. BTW, here are a few pictures of the setting so you can picture the concept in your head. My Stronghold is on the Jedi Covenant server. Or . . . here's just a few random pictures of my Nar Shaddaa Stronghold in SWTOR. Far away shot of the stronghold. Medium distance of the balcony. Overview shot showing of the landing pad and entry way. I may have over did it on holo-trees but this is a Life Day themed stronghold. Fireworks display. I've turned the main area into a greenhouse. In between the plants, I've sneaked in some utility decorations for my Biochem character. At the bottom of the staircase. Love that chandelier! I've done what many people have done with the staircase - covered the walls with Banners. However the datacrons are split between the two staircases. This one is the dark sided staircase. One of the smaller side rooms near the entrance. This is my Czerka room. HK-51 is disguised as a Czerka bot, Vette is wearing a Czerka jacket, Guss Tuno is wearing a Czerka Corporate outift, and Dr Lokin is in disguise as Czerka security. And yes, that's a HyperMatter logo light on the ceiling but Czerka didn't have one as cool as that one so in my canon, Czerka bought HyperMatter. And here's the intro video, for good measure. Unplanned Move, Unexpected Delay, but Unphased Overall! I'm making a Beatles playlist on my iPod. What are your favorite Beatles songs that don't usually appear on the compilations - and why should I include them? Please note that I am drinking tonight. Woohoo! Blog #63 - Got an interesting message on Facebook Messenger today! A response to a message that I sent way back in late 2016 was finally responded to. Too bad we'll not get an official CD but it's nice to get a personal response! 3. The Fate of Colonel Tobin (Death on the Ravager) I was mentioned this in N-DreW25's recent thread but I'll repeat it here. Unfortunately, the original thread I made about this was on LucasForums, but the general gist was a thought I had about this way back in 2010 - where if you convinced Tobin to do the honorable thing and help destroy Nihilus' ship - then he died in the explosion that destroyed the fourth proton bomb. It never got implemented in either TSLRCM or the Ravager Rewrite mod that Zbyl put together but seeing what happened to Tobin would tie up that loose end in a nice way. The advantage of this is you wouldn't need to record any new lines - the major lifting would be the scripting and the making of a new cutscene including Tobin. I've previously asked for a HK-Filter tutorial and had success with it thanks to information received on Reddit, so I thought I'd ask around for this next request. (Yes, I'll be asking about this on Reddit as well.) I'd like to listen to various voice files and have them sound like G0-T0. I have two programs which I use to do sound editing: Goldwave and Audacity. Though I'm more familiar with Goldwave, I'm perfectly willing to use Audacity to achieve my stated goal. Can anyone provide a tutorial to teach me - and likely others that actually read this blog - how to create such a filter? PS: If you visit this thread, why not post a note of some length explaining what you thought of this entry as well? I always wonder who reads my blathering. Blog #60 - Why haven't the credits been fixed on TSLRCM and M4-78 EP? If you're wondering about this, I just wanted to let you know that I'm wondering about it too! Why haven't they been updated so these mods can come back to this site? Blog #59 - "Name that Gun" Challenge! As you may have guessed from the above script, k_hjuh_p17 sets the Global Boolean T_JUHANIROM to TRUE if, and ONLY IF, the player character is female. The T_JUHANIROM global is used by the game to check if Juhani’s romance is active or not. In other words, the game activates Juhani’s romance ONLY IF your player character is female, as soon as you start Juhani’s personal conversation after she joins your party. If your player character is male, Juhani’s romance will NOT be activated. Here is the hard evidence from KotOR's game files that Juhani is a lesbian, a woman who is exclusively attracted to women. Juhani is NOT straight. Juhani is NOT bisexual. The game used to have a bug that allowed male player characters to access Juhani’s romance, which is probably why some thought that Juhani is bisexual. However, the bug had been fixed in later patches. By fixing the bug, the game has made sure that ONLY a female player character can romance Juhani. Even though the word “lesbian” or “gay” is never used in any of the KotOR games, it does not change the fact that Juhani is a woman character who can only be romanced by a woman player character, which means Juhani is gay, a lesbian. Furthermore, I have read articles mentioning that Stanley Woo, Juhani's writer, had confirmed that Juhani is gay. Unfortunately, I cannot find the actual source of it. It is likely that Stanley Woo posted about it on the BioWare Social Network forums, but the forums are already offline. In conclusion, Juhani is a canon lesbian character and has always been intended to be such. I would also like to emphasise that I DO NOT support any mods that make Juhani a romance option for male characters under any circumstances, because such mods would be erasing the identity of the very first confirmed lesbian character in any Star Wars media. Not to mention Juhani is the ONLY confirmed LGBT character in the entire KotOR series (Belaya from KotOR 1 and Luxa from KotOR 2 are heavily implied to be gay or bisexual, but their sexuality is never confirmed). Please respect LGBT representation and the identities of canon LGBT characters. Hello again everyone. I'm looking for input on another project so let's just get down to it! Just so you're armed with knowledge, here's are the things I'll be working with. Remember: I'm mainly looking for your own tips gained from personal experience. Thanks for reading! I do have Steam and yes, I do have codes so I can play KOTOR and TSL. (I just haven't redeemed them yet.) However, I've never modded on Steam using that Steam Workshop. Could I get some tips - for a complete newbie like myself - to help me along? The main thing I'd like to do by learning how to do this is I'd be able to help folks with basic modding questions. The ultimate goal: being able to help those using TSLRCM and M4-78 EP (both with and without using the Coruscant planet mod). As M4-78 EP on Steam is the newest version, please use that version in your explanations. Both text explanations and videos are welcome. Thank you in advance! I am an old man. I recall seeing this station work-project in one of my mother's magazines and feeling pangs of jealousy of those that had someone build it for them. Reading the original article describing this station and downloading the building instructions can be found here. I wonder if anyone on the site is handy enough to build it - as I certainly am not. Blog #54 - Possible Expansion to K1 Portrait Pack? I'm considering doing an expansion pack for my NPC Portraits for KotOR 1 mod covering characters from Brotherhood of Shadow: Solomon's Revenge that would be released separately. If this sounds like something you'd be interested in, I'll need some questions answered and perhaps a few save games. (1) Which characters in that mod can become temporary NPCs in your party and therefore have portraits that would be used in the game? I've found the following names . . .
(2) It appears the Shadow/Sera Degana/Channa character seems to have more that one portrait. Could someone confirm more than one is used? Here's what I've found . . . If it is actually the case that all of these are used, at what point does she use each portrait? (3) What would be best backgrounds to use for these new portraits? Keep in mind that the backgrounds would have be able to support anywhere from 8 to 12 frames of animation. (5) Does any one have warp codes for the new areas exclusive to Brotherhood of Shadow: Solomon's Revenge? I have asked Quanon if he'll do the renders like he's done before my other packs. I hesitated to do so because I'm sure he'd much rather be working on his own projects and I don't want to more than a pain than I already am. (I haven't heard back from him yet.) However, if you would like to do the renders so you can match the characters as closely as possible to the angle and facial expression of the original portraits, that would good too! Leave a message here and I'll let you know what size I'd need the picture to be. You should probably wait until we have the other questions worked out first. Update: This is slightly off-topic but the reason I tend to lock my status updates is so people will comment where I direct them to. In this case, replying here in this blog - rather than on an update which could be off the main page in less than a day - works best for all of us.